I’m now writing this article from my beautiful new apartment at Soma Square Apartments in SOMA district in the heart of San Francisco. I can definitely say that now we’re 100% ready to play. Before, we were discouraged that we couldn’t live in the most competitive ecosystem in the world, and thought that it would be difficult because the market is supersaturated. But the brightest minds in the world, the education, the values, and the lesson learned every day are priceless. That’s why I brought you the latest news from last week. The growth, the sales, the positive, the negative. Everything you need to know about how it is “Being an Entrepreneur in the Bay Area”. I feel so honored to announce that we will do our first official event in San Francisco, with the theme “How to use Events to grow your business & brand”. The event will feature one of the TOP10 Public Speakers ranked by Forbes in 2016, Dave Meltzer. Dave Meltzer is the CEO of Sports1Marketing.com, Investor at Entrepreneur Elevator Pitch, and author of Connected to Goodness. Dave will bring to the conversation all of his experience as an entrepreneur, CEO, and businessman in events. He will offer tips on how to do public speaking, create engagements when networking, and give a little advice about entrepreneurship in general. Currently, he’s one of the investors at one of the most watched shows, Entrepreneur Elevator Pitch. Also, our Co-founder & CEO Antonio Trincao, and Nupur Singh Founder & CEO of Young Founders Connect, will follow up Dave’s public presentation, by interviewing him in a fire-side style chat. The event is featured on the front page of Eventbrite, and within just a few hours we’d already sold 2 dozen tickets. 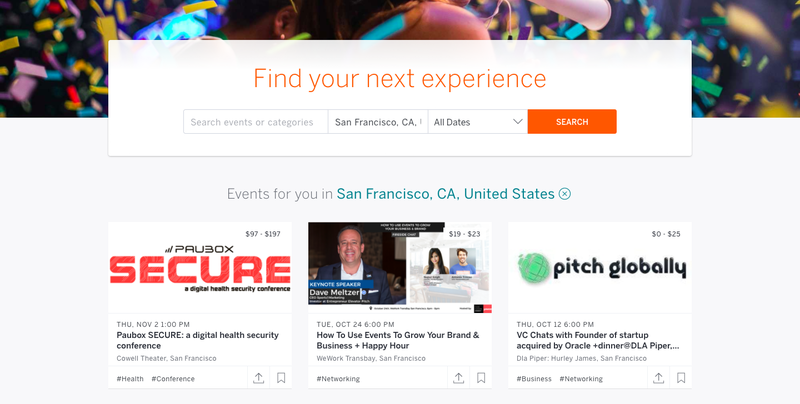 Youcanevent is Eventbrite’s new best friend. 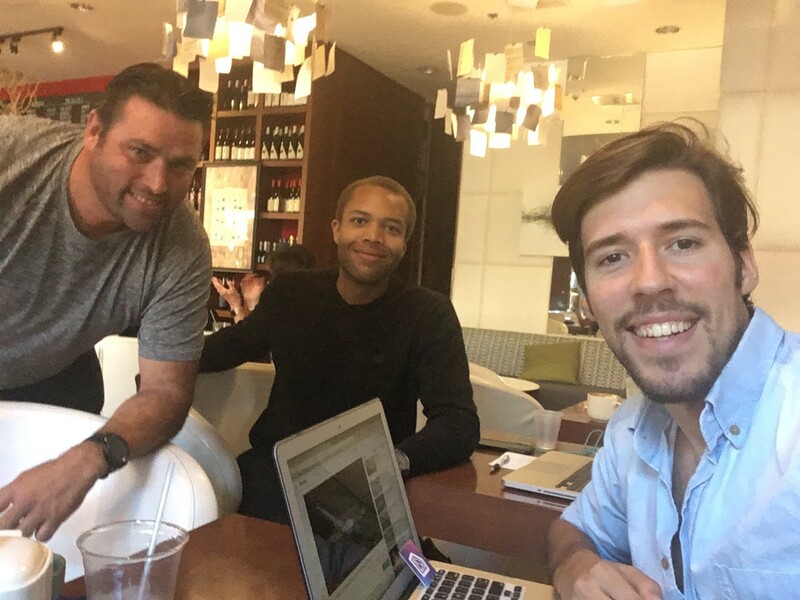 We just had a meeting with one of the Platform Partnerships managers from Eventbrite and we’ll officially build an integration within our Website to allow our users to publish and sell tickets automatically after creating their event on Youcanevent.com. This process will become part of the Eventbrite Spectrum Partner program, where we’ll be listed as official partners, giving us an exponential margin of helping event organizers create even more event experiences. We are super eager, and 1000% dedicated to help organize over 1,000,000 events a year. In addition, Youcanevent is working on and fully committed to doing partnerships with other big players in the events industry such as PlanningPod. PlanningPod is a software management tool for events. Pretty soon we will be featured on their blog sharing how to book the services that you need when organizing an event. The partnership mindset never stops, and we had the chance to meet Zach Boewer, a former VC partner at Scale Up Ventures (Box investor), and recent founder and leading CEO at a startup focused on the Entertainment industry called Delightly Entertainment. Delightly is an app designed to hire on demand entertainers, burlesque artists, DJs and bartenders. The company is on a private BETA, and in the future will work together with Youcanevent by supplying all the Youcanevent customers entertainment needs. Sales, events, sales and more sales. This week we had 3 more event requests, happening in October, November and December, and we also got another sale for a 3rd time returning customer, HackerX. This time the event will be hosted in Manchester. This time we are offering a beautiful Tee for those that identify themselves with Technology. Events. Entrepreneurship. Celebration. Productive, and intense, but definitely amazing!